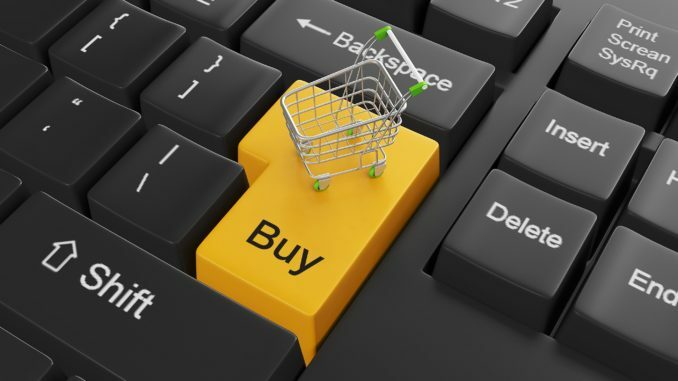 The e-commerce industry has famously experienced exponential growth in the past few years. In fact, the total sales in e-commerce websites is estimated to cross $430 billion by 2017, in the US alone! The number is steadily increasing as more and more people around the world are gaining access to the internet through smartphones and cheaper internet rates. If you have a business that sells products, you may be able to have a sustainable revenue by building an e-commerce website. The points given below will guide you through the process of building a successful e-commerce website for your business. Studies have shown that online users need only about half a second to decide if they will be purchasing from an e-commerce website or not. Considering the precious little time you have to make an impression on a prospective customer, you need to pay close attention to the look and the feel of the website. Design your website according to a theme and maintain consistency through each page. Elements like photos, videos etc. are able to communicate much more than text in a short amount of time, so include visual content as much as you can without making it too crowded. The visual design of your site may keep first time visitors on your website for the first few minutes, but the site architecture determines if they go through with a purchase and return when they want something more. You need to make it easy for your customers to find the products they are interested in. As e-commerce websites inherently have the disadvantage of being unable to make people touch and feel the products before they buy, provide as much information about the products as you can, complete with photo, videos and tutorials. The sales funnel should be seamless and secure to ensure that customers are not frustrated. The internet has more than a 100,000 e- commerce websites. Your target demographic, despite how niche your products are, will never be able to simply happen upon your website as there are way too many to choose from. In order to direct more traffic towards your website, you will need to design a robust Search Engine Optimization Strategy that can make your website work with the existing algorithms of search engines like Google and Bing. You can build more links towards your site by starting a blog or promoting it on your social media pages. You may even use paid online marketing methods such as Pay Per Click advertising to make your e-commerce website more visible to your target demographic. If you have a unique business model or feature that sets your e-commerce website apart from the competition, it needs to be marketed extensively to make people take notice and visit the site. Remember to keep track of your website’s performance metrics by using Google Analytics and gradually increase the traffic by tweaking your SEO strategy. A happy customer can be a strong advocate for your brand, and combined with the power of social networking sites, this can be the opportunity to get your website visible to millions. Allow your customers to log in through their social accounts, promote your brand on their social network and include social elements like product reviews and testimonials. At the same time, use social media to gain an insight into the interests and preferences of your target demographic so that your website can grow gradually. Many e-commerce entrepreneurs make the mistake of launching the site prematurely and crumbling under the pressure. You have only one shot at launching your site, so you need to make sure that you get the important things right. Test everything extensively and build a solid foundation for your customers so that they purchase your products without too many problems. Identify and fix operational mistakes on your website and automate as much as you can before you launch the website. Never rush the launch of your e-commerce website as the first impression with new customers either makes or breaks e-commerce websites. Once you are ready to launch, keep in mind that it is pertinent to keep evolving as a business. With the tips given above you will soon be able to create a successful e-commerce website. Davis, Jayne. “How to Build a Successful Blog?” Article Directory, 7 Nov. 2017, www.paypervids.com/how-to-build-a-successful-blog/.